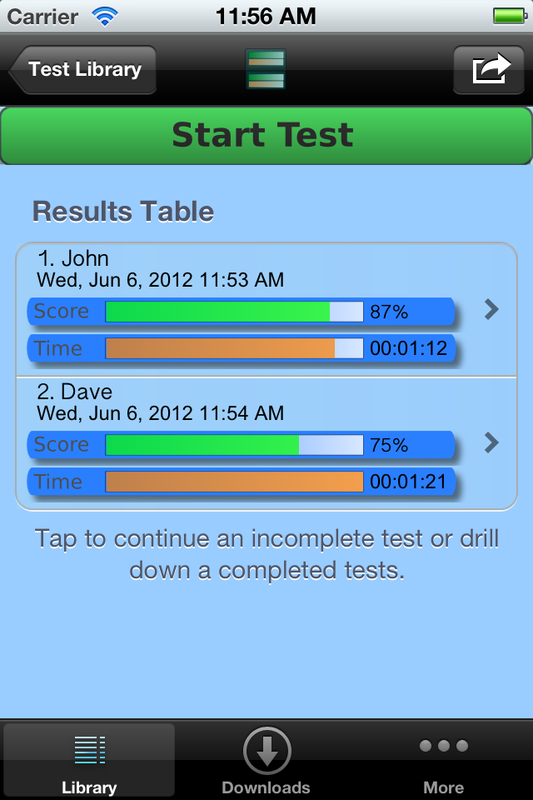 This app allows you to work off-line – only using your wifi/3G data allowance to download or upload tests. 1. Editor – allowing you to create and publish tests on any topic. 2. Test tool – allowing you to download and take tests published by others. 1. Publishing and downloading tests is free. 2. Add images to questions. 3. A question can be answered as text, image, multiple choice or multi select. 4. Feedback can be provided for each question either as text and/or web link – aiding better learning. 5. Facebook and Tweet your test results. 6. Publish using a key. Private to only those you want to give access to. 7. Publish to all Test Library users.
. An essential tool that really can make a difference.
. Creating a test yourself forces you to think more about the topic.
. 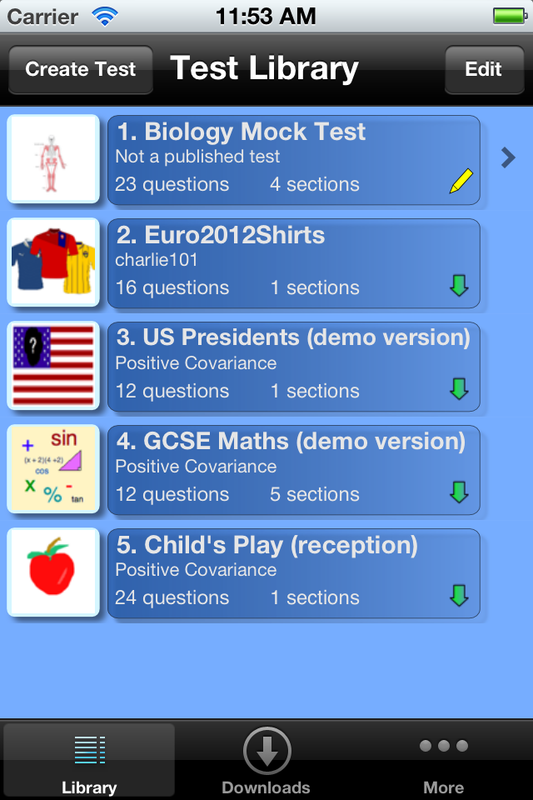 Helps you engage with the subject matter differently.
. It’s fun and a great way to prepare for your exams.
. With this app it’s easy to do and is always at your fingertips. Allowing you to quickly add questions while it is fresh in your head; and repeat tests just before your exam.
. A unique and essential study aid to what could help shape your future.